You will agree that a photo taken from an unusual perspective is interesting than the photo of the same object or incident taken from the usual angle. If you take image of a building from eye level it has no appeal, while if you take it from the top floor of a tower nearby it becomes far appealing. Imagine the same shot taken from an even greater height, i.e. from an airplane or helicopter, won’t it be more interesting? This is because not many people get the chance of observing the Earth from the cockpit of an aircraft, and so, aerial shots are always more stunning than eye level or usual photographs. But aerial photography is neither simple nor inexpensive, because it includes arranging for an aircraft and a pilot. Therefore, you should know enough about it beforehand to get the most out of the experience. 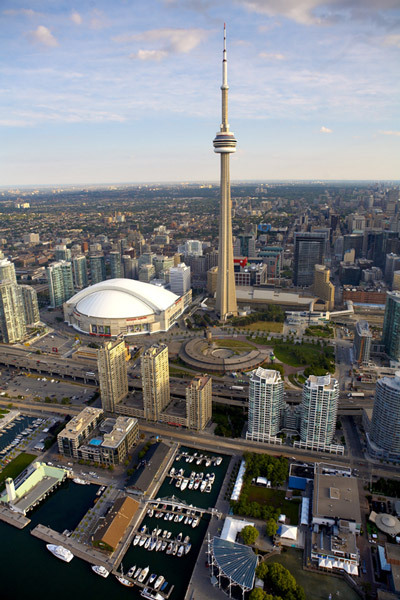 Visit SkySnap.ca for excellent aerial photography in Toronto. They offer a comprehensive range of services, which include aerial photography, videography and also drone (micro UAV) rentals. 1. How Can You Get an Aircraft and a Pilot? If you have a friend who is a private pilot, you don’t have to think about this. But if you have not, still you can get an airplane quite easily. This is because many flight schools have instructors who also do the job of aerial tour guides. And if you don’t get such instructors, the flight schools are sure to know some private pilots who want to take photographers in air for free. It’s good on your part to pay a decent price for the privilege. You will probably have to pay for aircraft rental, pilot’s time and for fuel. SkySnap.ca offers aerial photography for personal as well as professional use, a wide range of other services like mapping and surveying, aerial videography for personal and industrial use, aerial wedding photography, and an extensive range of drone rental choices equipped with DSLR, GoPro and Red Epic camera systems. 2. How to Choose a Plane? If you are doing aerial photography for the first time, you may not know that not all planes are good for photography. Planes with low wings are bad because their wings will come in between your most shots. Though you choose a high-winged plane, you must check if its strut (the structure supporting the wing) won’t come in your shots. You should choose a plane with high wings but having no struts. Helicopters are excellent for aerial photography because of having no wings or struts to come in your way. But they are costlier. They also give you the extra advantage of shooting with the door open, but of course, you should be that courageous to shoot from a height of 500 feet, without the door. If you are not lucky enough to sit next to an open window or door, you will have to be ready for dirty windows and unwanted reflections and glare. Before the aircraft takes off, ask the pilot and clean the window with a microfiber cloth so as to prevent scratches to the plexiglass. You can reduce the glare, by positioning your camera as close to the plexiglass as you can. Also avoid wearing vivid colors because they can reflect in your shots. Unfortunately, a polarizing filter won’t help here, because it will produce an unsightly sheen that is not desirable at all for your photos. Therefore you will have to keep the glare away through other means. In aerial photography time is very important. This is because, aerial shots can look two-dimensional because of the great distance which makes shadows, slight changes in color and other components which give depth to the photos difficult to notice. So, it is best to shoot from air a short time after dawn and that before sunset, because then shadows are longer. A cloudy day can be bad for photography on the ground, but it can provide you great shots of clouds while you are in air! So, don’t withdraw from a flight just because of a cloudy atmosphere. Contrast can be put into the post-processing if required and traveling above the clouds can offer you some fantastic cloudscape shots. Haze can create problems in aerial photography particularly in case of urban scenes. If you can be flexible, prefer a day just after it rains, so that some particles creating the haze can be settled down and won’t come in your images. This is a great problem in case of aerial photography, because of the great motion the aircraft is in. Also if you try to brace yourself against the plane to make the camera steady, you will get even more motion and shakes. So, the best way is to use a fast shutter speed (like 1/500 or more) and a higher ISO. These things will freeze motion and avoid camera shakes. If you are at a very low height in a helicopter, a 100mm zoom lens will do for your photography. If you are flying at a 1,000 foot height, you will require a longer lens of minimum 200mm. You also may probably need 1-2 wide shots to suggest a feeling of flight. Also bring a wide angle lens between 16 and 28mm. Here you will have to remember that the struts of a plane and the rotors of a helicopter may show in your wider-angle shots, so be ready to crop them in post-processing. You should also consider turbulence and so should bring a strap to keep your camera safe around your neck. Even though you are not sitting next to an open door or window, ensure that your camera is safe from any unexpected jolt, which can send it swerving into some part (particularly metal) of the aircraft. Aircrafts move very fast and scenes worth shooting may skip from your view. So, constantly keep looking around so as to plan your shots beforehand. Bring a big memory card too. SkySnap.ca can be a right choice for you if you are planning aerial photography or videography in Toronto for art purposes, real estate or design, because they have just the right gear and expertise for your job.